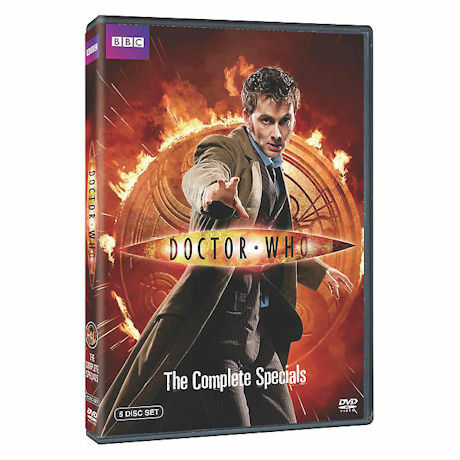 Four imaginative, action-packed specials from 2009 said farewell to David Tennant (the Tenth Doctor) and Russell T. Davies, the mastermind behind the rebirth of the modern Doctor Who, and also gave fans their first glimpse of the Eleventh Doctor, Matt Smith. Guest starts include Michelle Ryan (Covert Affairs), David Morrissey (The Walking Dead), and Lindsay Duncan (The Honourable Woman, Rome). Over 5 hrs, 5 DVDs.